Dress up a plain sweater by adding a fun silhouette to the front. It is a quick and easy project you can do with no sewing required. This project uses a plaid deer head silhouette, but you can customize it by using any pattern or shape you like. Measure out an 8-by-9-inch piece of flannel and an 8-by-9-inch piece of iron-on adhesive paper. 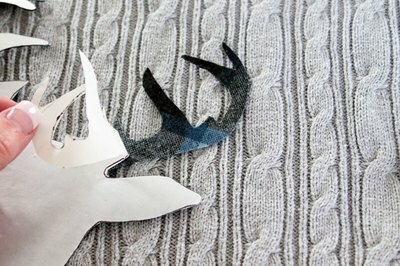 Use the fabric scissors to cut them out. 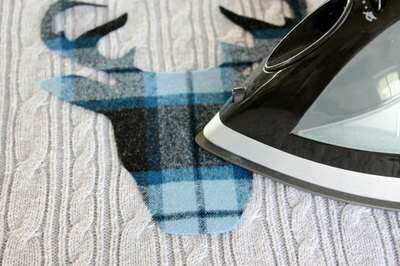 Set the iron to a medium heat with no steam. Place the iron-on adhesive paper on the wrong side of the flannel with the shiny side down. 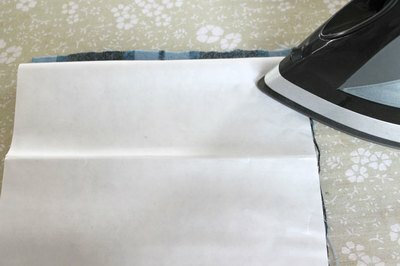 Press on the paper side of the adhesive paper with the iron until it adheres to the fabric. This should only take a few seconds. Draw your own deer head pattern onto a blank sheet of letter-size paper or download and print one you like off the internet. Be sure the pattern is smaller than 8-by-9-inches. 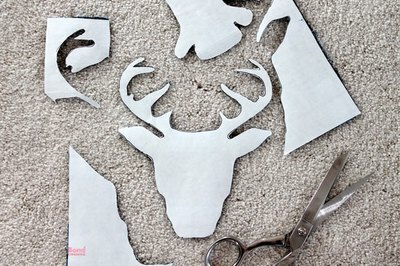 Use the paper scissors to cut out the deer head silhouette pattern. 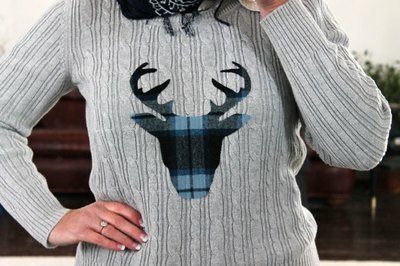 Trace the deer head silhouette pattern onto the back of the iron-on adhesive paper that you adhered to the flannel. 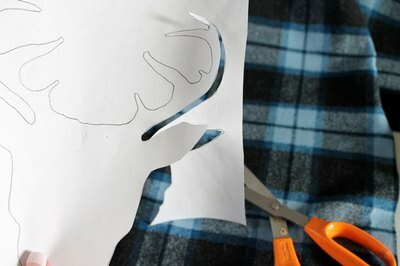 Use fabric scissors to cut around the traced lines of the deer head silhouette. 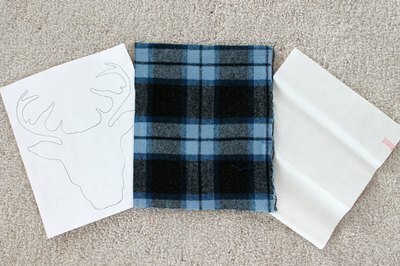 After cutting out the deer head, peel the adhesive paper backing off of the flannel. Lay the sweater flat. 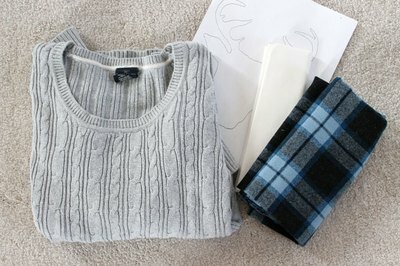 Place the flannel deer head on the center front of the sweater with the shiny side down and iron it onto the sweater. Make sure it is completely adhered to the sweater.